The survey is designed to find out what you think about your child's school. We encourage you to take the survey for each of your children! The District-wide Parent & Guardian Survey is open to parents and guardians of students in Philadelphia public and Charter schools. COMING MAY 4, 2019 at 10:00 a.m. – 12:00 p.m.! Each student that raise $10 will be admitted for FREE! This fun-filled event will feature great music, raffles, free prizes, bracelets, and food and drinks for purchase. All proceeds from this event will go to support the WOLCS Alumni Scholarship Fund. Click the title to learn more. 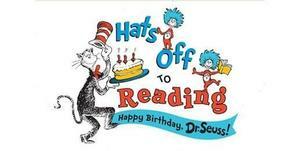 Every year at the beginning of March, children across the country kick-off National Reading Month by celebrating the birthday of the beloved Dr. Seuss and the many characters that have been immortalized in his children’s books across the globe. The Philadelphia Zoo on Wheels presented to some of our after-school children today. They learned about the rainforest and some of the animals who live there. WEST OAK LANE CHARTER SCHOOL has just kicked off its fundraising campaign and would love your support. We are raising funds for special programs and materials that are not in our budget and we need your help. The Cherrydale fundraiser started on September 13, 2017 and ends on October 2, 2017. Please support WOLCS by clicking on the link Cherrydale.com/FRWOLPP and setup your child’s account using School Code: FRWOLPP. Learn the Facts vs Fiction about Public Charter Schools and all we have to offer. If you enjoy shopping on Amazon.com, think of the West Oak Lane Charter School the next time you make your purchase. BEFORE you make your purchase, go directly to smile.amazon.com and search "West Oak Lane Charter School". Amazon will donate 0.5% of the price of your eligible purchases to support our work of Educating the Next Generation of Lifelong Learners and Thought Leaders. Amazon Smile – It’s free and easy! 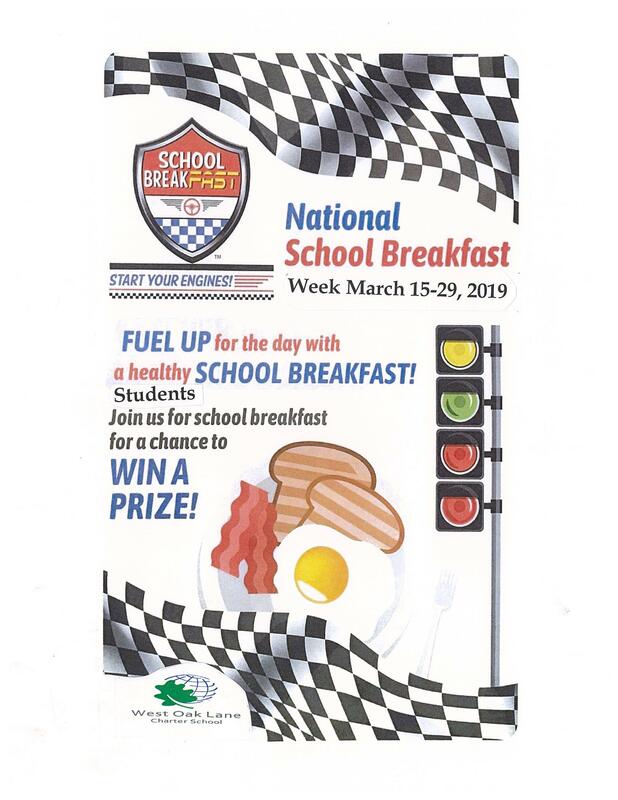 National School Breakfast Week 3/15-3/29. Fuel up for the day with a healthy School Breakfast. Students, Join us for school breakfast for a chance to win a prize! 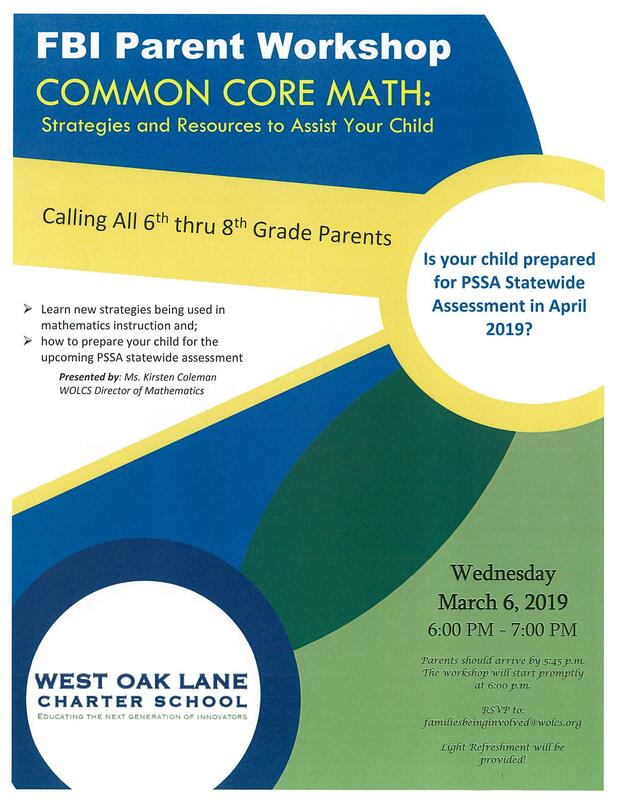 Wednesday March 6, 2019 from 6:00-7:00PM. Due to the inclement weather this morning, WOLCS will be on a 2-Hour delay. Staff are to report at 9:45 am. Students are to report at 10:00 am.